Successfully Added Highly Portable Bluetooth Mouse with Multi Function Dongle to your Shopping Cart. Ever wanted the precise feel of an optical mouse with out the frustration of wires or the instablity of an IR cordless mouse, try Bluetooth, it's the perfect protocol for use with wireless peripherals hence it's inclusion in Sony PS3 controllers. 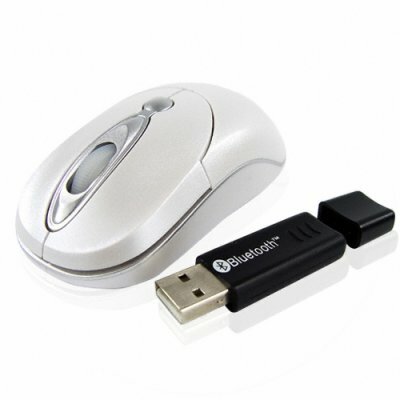 An attractive pearlescent bluetooth 1000dpi mouse paired with a multifunction dongle a simple but perfect match. Take advantage of our hot wholeasle prices and start ordering today, with factory direct low china wholesale price and fast worldwide shipping..